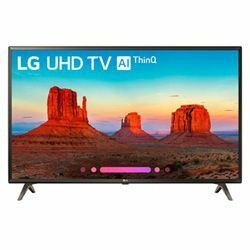 LG 55SK9000PUA vs 49UK6300 is quite pricey and exquisite with all the latest exclusive perks you can toy with. 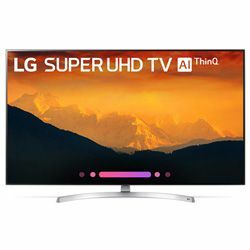 49UK6300 is more than twice cheaper although still good and with hundreds of good reviews. The visuals in 55SK9000PUA are improved by an improved refresh rate, native refresh rate as well as a greater display area proportion. The maximum power consumption is also different, obviously, a 55-inch SK9000PUA takes more, 170 W compare it to 120 W for a 49-inch UK6300. They are both use Direct LED and TruMotion panel technologies. Neither of the series has a 3D feature. The resolution is the same 3840 x 2160 pixels on a flat IPS screen. 1.07 bln colors. Both models play MP4, AVI, M2TS, TS, MKV, and 3GPP. They have MPEG 4, QuickTime, VC-1, VP9, and FlashVideo decoders. The horizontal and vertical viewing angles all male 178 degrees. Also they have 20W stereo speakers with a DTS recorder. But neither of them has Dolby Atmos or Dolby Surround. If you care about a good sound I suggest you get yourself a proper home cinema to go with the TV. You can stream Netflix, Hulu, Amazon Video and Vudu. 55SK9000PUA also boasts of Google Play streaming service. These two flat TVs have a black finish with removable stands. 49UK6300 weighs about 24 pounds while 55SK9000PUA weighs almost 42. VESA mount and interface are also available for both. 49UK6300 has a weaker stand that could be balanced better. But the legs on 55SK9000PUA are really good though. Some cool advanced features that deserve a separate review. A shallow wall to frame dimension. The price is around $12000 which is not necessarily a disadvantage but might be an issue for some people. Customer support is very hard to reach. Some customers have issues with Alexa control. It is cheaper versus similar models by other brands. The manual will be clear and simple for your entire family. The Wi-Fi card needs a reboot every time you turn the TV back on. The Alexa functions are limited.